We felt very welcomed by the staff. Everybody was extremely nice and we’ve got lots of great Information. The room was rather small but nicely furnished. And we even had a tiny kitchenette. We would go back there for sure. The staff was amazing with information on the city. Great location too! Everything...It was super clean. The owner was very nice and charming. Location is excellent and moreover the building keep the originality of the construction’s style of that time, and with a very good sound isolation, from the outside. The nicest hosts we had on our 3 week trip in Spain. Giermo was incredibly friendly, helpful and had excellent daily suggestions on what to do and where to eat. 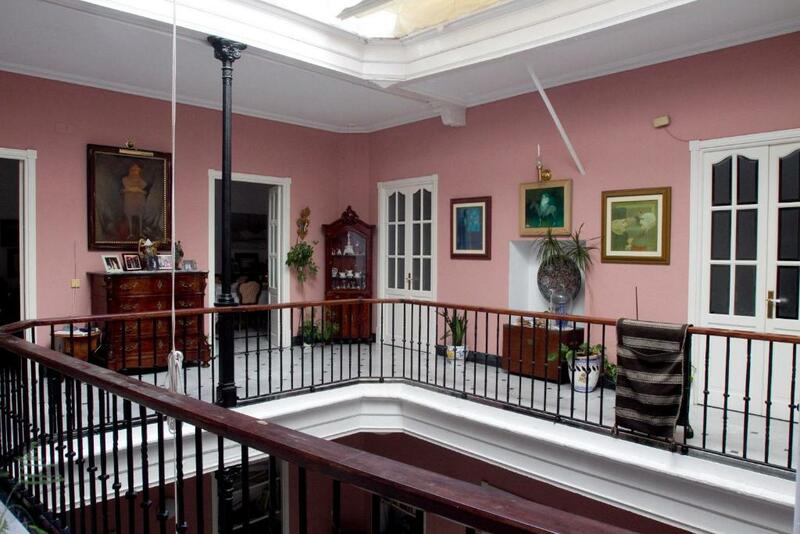 Beautiful private house turned into butique hotel. Our room was very spaciuos and clean. The bed is really confortable. Bathroom is a little narrow, but it didnt bother us. The staff is very nice. They gave us recomendation on where to go and what to see; where to eat... Location is really good - right in the middle of old town. Staff were very courteous and friendly providing information about the area. The staff really are nice and made us feel cared for. Went out of their way to be helpful. We felt very welcomed at this place, which once has been a huge family house. We appreciate that our host Simo took care of parking, provided excellent recommendations and assistance. Would come back! Lock in a great price for Casa Patio del Panadero – rated 9.2 by recent guests! 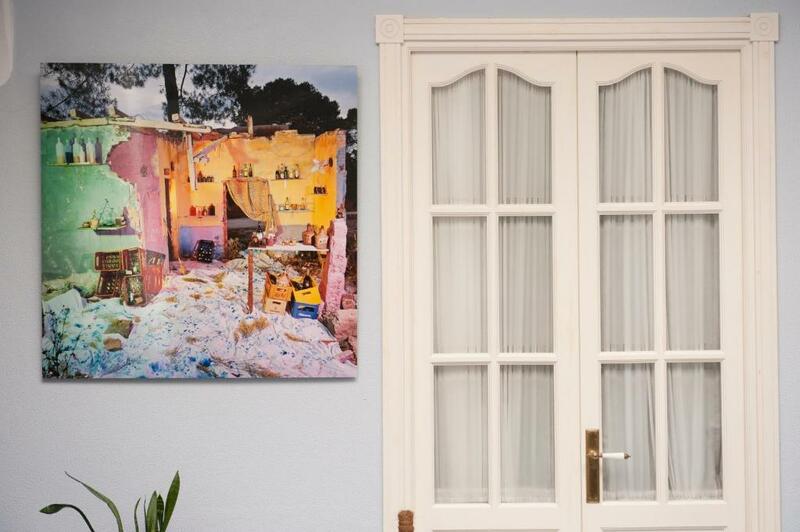 One of our best sellers in Cádiz! 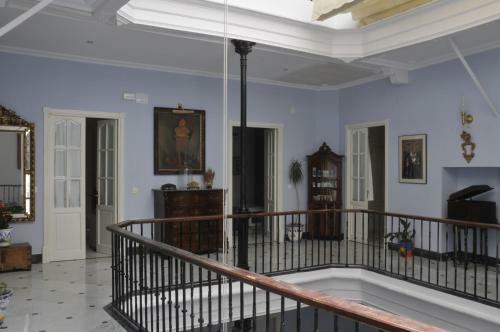 Apartamento Casa Patio del Panadero is set in a restored 19th-century building in the center of Cadiz. 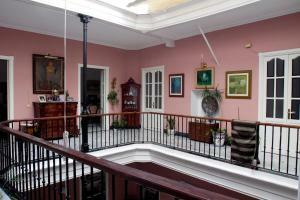 It offers free Wi-Fi and accommodations set around a characteristic Andalusian central patio. The property offers rooms, as well as apartments with a living room with a sofa bed and TV. Some have a balcony. All apartments are heated and have a kitchen with a fridge and microwave. There is a private bathroom with free toiletries. Luggage storage is offered and the complex has a safe for guest use. The apartments are 500 feet from Plaza San Antonio. Cadiz Cathedral is a 10-minute walk away. 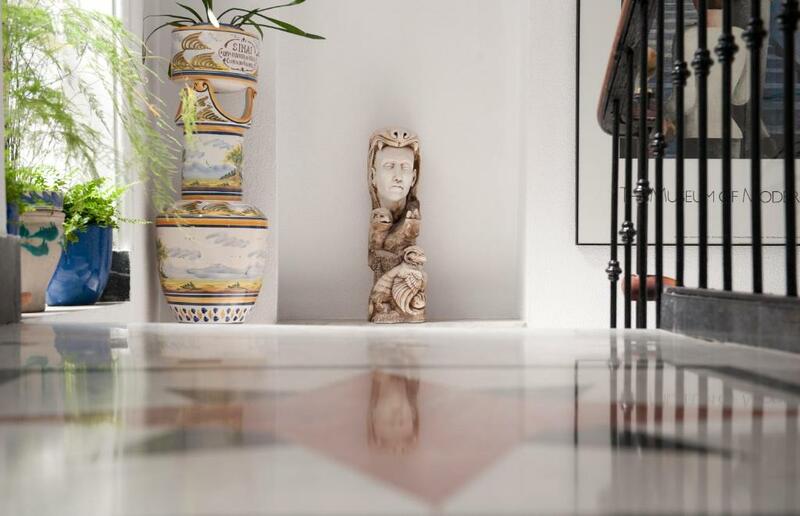 뀐 Located in the real heart of Cádiz, this property has an excellent location score of 9.5! When would you like to stay at Casa Patio del Panadero? Each apartment has a living room with a sofa bed and TV. Some have a balcony. All are heated and have a kitchen with a fridge and microwave. There is a private bathroom with free toiletries and a shower. This room has free Wi-Fi and a private bathroom. House Rules Casa Patio del Panadero takes special requests – add in the next step! Casa Patio del Panadero accepts these cards and reserves the right to temporarily hold an amount prior to arrival. Please let Casa Patio del Panadero know your expected arrival time at least 1 day in advance. You can use the Special Requests box when booking or contact the property. A hairdryer and iron are available on request. Please inform Casa Patio del Panadero of your expected arrival time in advance. You can use the Special Requests box when booking, or contact the property directly using the contact details in your confirmation. Great central location. Lovely staff and clean comfortable room. Very nice. Rooms were fully renovated. Elegant and simple. Bed and pillows could have been a little more comfortable (pillows very hard). It would have been nice to have a simple breakfast provided, although the bar next door provided one. We were upgraded to a newly refurbished apartment. We liked being in an old house with courtyard. Good location. The matrass was a bit too soft for our taste. Probably a personal feeling. Hosts were very kind and offered to search for another accommodation for the second night we had booked with them. We changed to a room with larger beds and we slept a bit better. Nothing, a great place to stay. Location is super central for the old town. All the staff were extra helpful and very friendly. We had a hire car and they arranged parking for us nearby - they came with us to park the car on arrival, and carried our bags back after wards (only about 3 streets away. Also, the young man went and collected our car upon checkout, and brought it to the front door for us. All the staff were keen for us to enjoy Cadiz, and went out of their way to recommend restaurants, bars, beaches etc. 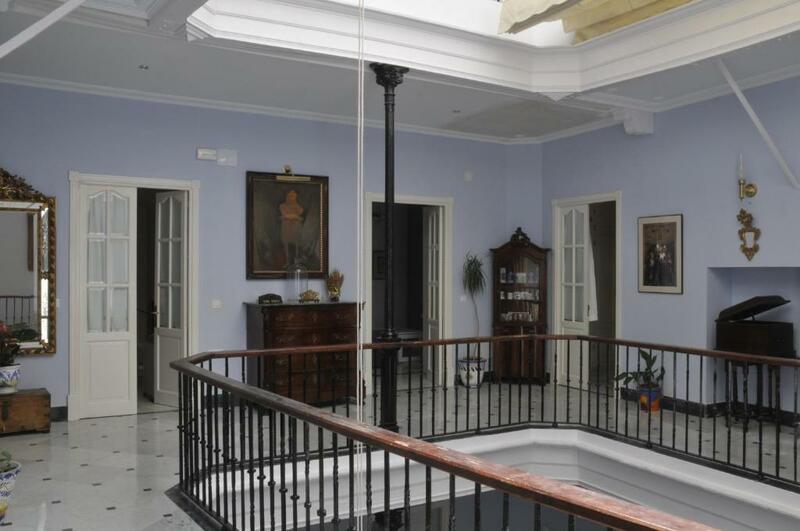 Beautifully restored period town house in old Cadiz within easy walking distance from inexpensive bars and restaurants and places of interest. 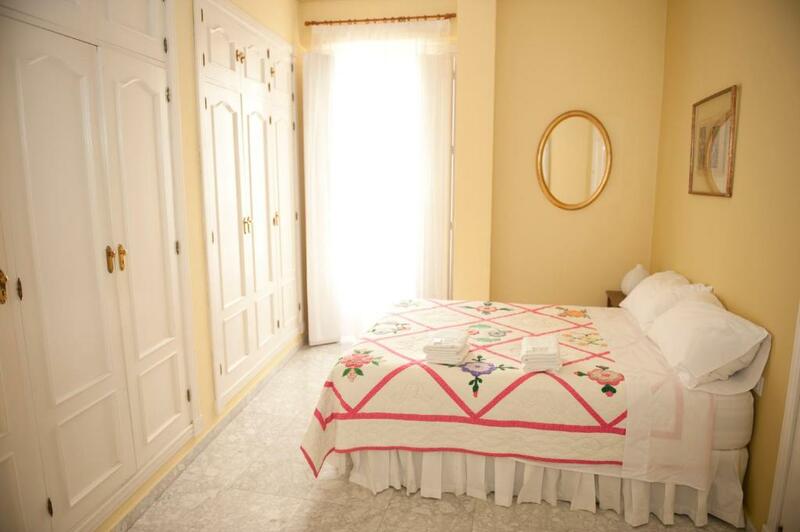 Well furnished and decorated rooms with modern facilities and comfortable beds. Secure parking available at extra cost, but giving you peace of mind and freedom to wander the city at your leisure. 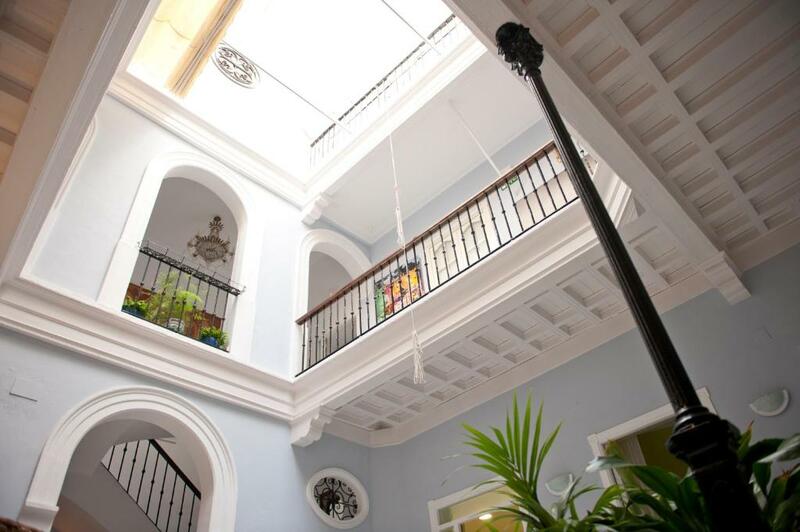 Guillermo and his team offer a welcoming, helpful and thoroughly enjoyable stay. The bed was very comfortable, we were as in our house. The hotel did not provide food, but there was an excellent bar just next door... And of course being in the centre of Cadiz, there were plenty of places to eat.. There is no parking around this place so my car was taken by the host to be parked up for my 3 day stay. I really thought this came with the booking and was not informed that it would cost me €36 for the 3 days. Not nice having spent €240 for my stay and then the unknown €36 added. Every thing was just perfect. Wonderful building.